For many Muslim women, wearing nail polish all year round was something they couldn’t do for years. Why? Regular nail polish acts as a barrier to prevent water from permeating — making their wudhu (the ritual water cleansing act before prayer) invalid. But with the advent of permeable polish that allows water to reach the skin, Muslim women around the world can now merge religious obligations with their grooming routine. 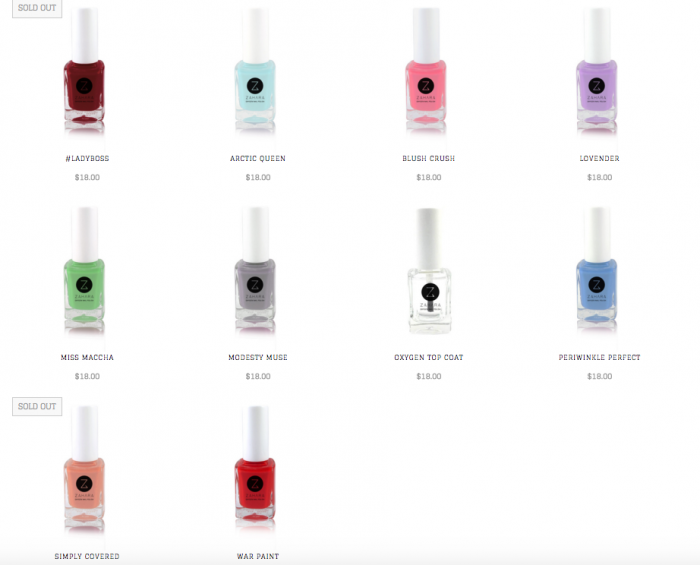 This water-permeable nail polish is also the first product Zahara, a beauty brand for Muslim women, launched. And they come in delightful eye-popping colours with quirky and refreshing names like Arctic Queen, Modesty Muse, #Ladyboss, and War Paint, to name a few. Fun fact: 100% of profits from the shade Arctic Queen will be donated to the UN Women’s HELP ANNA initiative, which works to end violence against women. 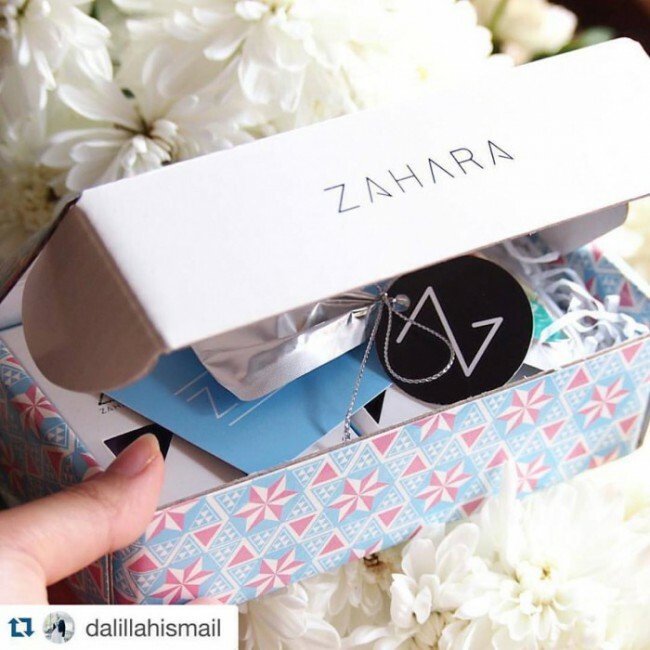 Zahara was born when its founder, Singaporean Amira Geneid, discovered a gap within the cosmetics industry. 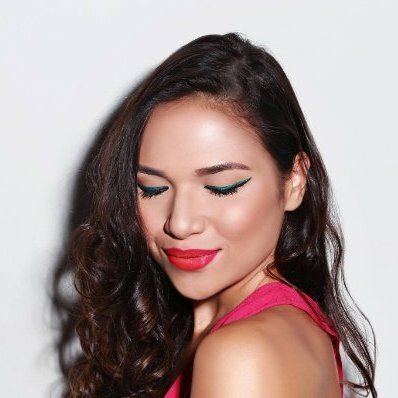 With a business degree from the National University of Singapore (NUS), an internship at Luxola, and a stint at Draper University where she got “a taste of the entrepreneurial fire in Silicon Valley”, Amira set out to combine faith and beauty to craft the ideal makeup line. “We are uniquely focussed on our target market of young Muslim women, and every single product is lovingly made with our customer in mind. As such, we aim to bring the best cosmetic products for our customers because we are understanding of their unique needs,” Amira says of setting up Zahara. Halal cosmetics tailored to Muslim women are not exactly hard to find, but it all comes down to preference. “There are halal cosmetics brands out there, but me and my friends haven’t found one that appeals to us or that we feel is up to the standards that we hold for all cosmetics products that we buy,” she says. According to her, all the products on the Zahara line are manufactured in Europe using high quality ingredients. A lot of thought is put into what they do, from formulation to packaging and marketing. “This is something we pride ourselves on, and something that was previously not available in the Halal cosmetics market,” she adds. Besides their cosmetic line, the website is also a portal for customers to learn a thing or two from their editorial content consisting of beauty tips and lifestyle stories. Amira hopes that it becomes a great knowledge base for their customers, and a platform for them to share their own expertise. There is also a segment called Zahara Warrior, where a female role model is singled out every month. She says, “We want to build a huge, world wide tribe of Zahara Warriors, we envision a world wide community of young Muslim girls who can feel like a family and get support and inspiration from one another.” If anything, Amira is a role model herself, proving that although working for a niche market can be challenging, there’s really no end to learning. Zahara aims to be the beauty brand that Muslim women think of when they consider the top level players, and in their quest to do so, Amira had to jump over a few hurdles first. As they made the decision to produce the cosmetics themselves, an entire year was set aside for R&D — which is still ongoing. There’s also the pains of high costs involved with manufacture, importation, and logistics. At the moment, Zahara is hard at work to launch other beauty products in the next few months, like their matte lip creams, eyeliner and eyeshadow range — of which all are Halal. Amira is excited for the future of Zahara, and the fashion scene as well. “I believe girls are starting to pull off tradition with their own sense of style. If you look at the modest fashion scene it has absolutely blown up with stunning designs and new innovations. I’ve noticed a sharp increase in the number of girls who wear the hijab and I think a large part of that comes from how beautiful and stylish it is. With that I think more people are starting to take notice of them for their style and their love of fashion and recognising their power as consumers,” she observes.